It does not get more traditional than good, old-faishoned firewood logs. Firewood is not highly processed and is in some sort of recognizable log or branch form, compared to other forms of wood fuel like pellets or chips. 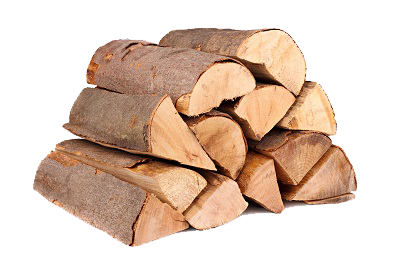 Firewood can be seasoned (dry) or unseasoned (fresh/wet). It can be classed as hardwood or softwood. Firewood is a renewable resource. However, demand for this fuel can outpace its ability to regenerate on local and regional level. Good forestry practices and improvements in devices that use firewood can improve the local wood supplies. To inquire about our local firewood, please contact us. EZ-Burn logs are made using the saw dust shaken out of premium wood shavings. 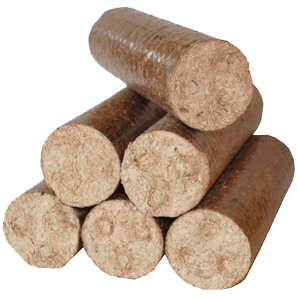 The logs are environmentally friendly firelogs – without the use of bonding agents or additives. In other words: 100% wood only, no glue or wax! After much research and testing, the perfect moisture content was found and now produce this fantastic product with nothing but saw dust, pressure and heat. The EZ-Burn Firelog is great for outdoor cooking, campfires, wood stoves and much more. For more information, please contact us!